Is it a little late to be posting watermelon cocktails? No way. I am not bound by calendar rules! It’s summer somewhere right? This is for my friends in Australia and New Zealand! 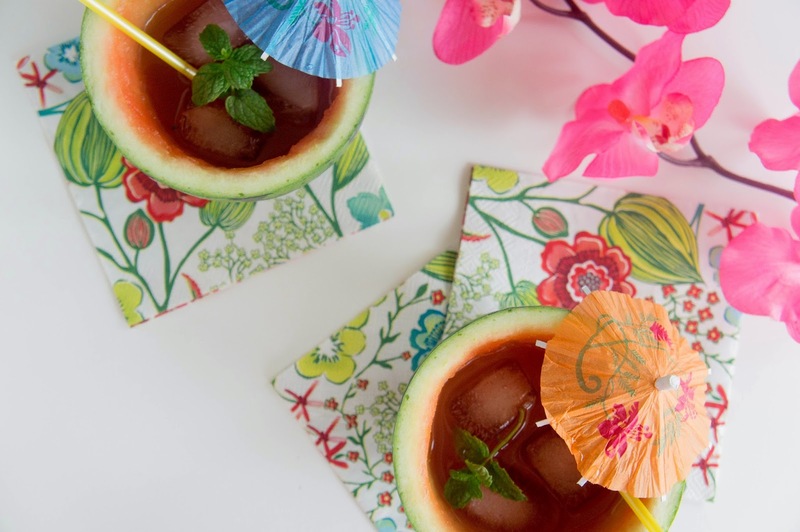 But really, this cocktail might be even more necessary for those gloomy rainy days that are coming all too soon. Where we can close our eyes and at least pretend. And since we’re breaking the rules, I also did not serve this julep over crushed ice as is traditional. Mostly this is because I didn’t have any crushed ice and you require a surprisingly large number of ice cubes to get enough crushed ice for two cocktails. Plus crushed ice dilutes cocktails much faster, which I think is usually the point of using it in such a bourbon heavy cocktail, but in this case, the watermelon makes it much less potent already. All this rule breaking is making me thirsty. Cut the baby watermelon in half and scoop out the flesh; set aside. Cut a tiny sliver off the bottom of the melon half so that it stands flat, being careful not to go all the way through so your melon cup doesn’t leak. 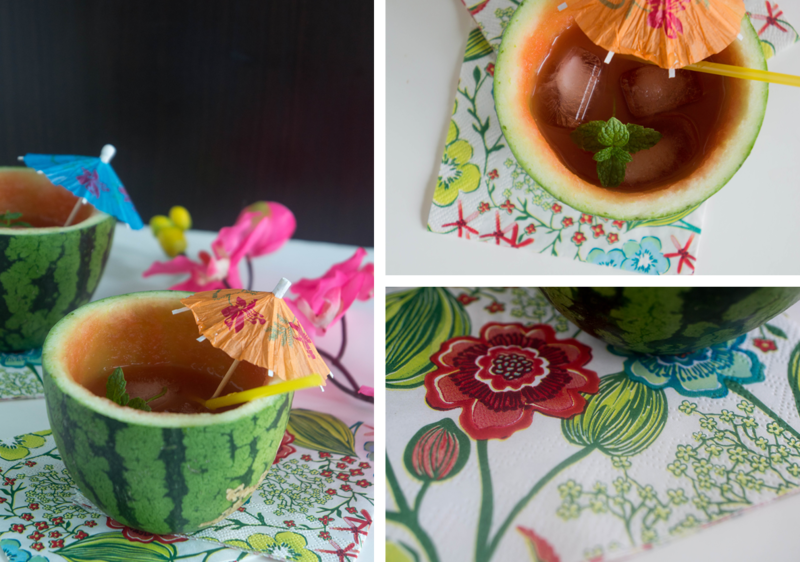 In a cocktail shaker combine bourbon, simple syrup, mint leaves, and watermelon and muddle. Add ice cubes and shake until the outside of the shaker is frosty, about 20 seconds. 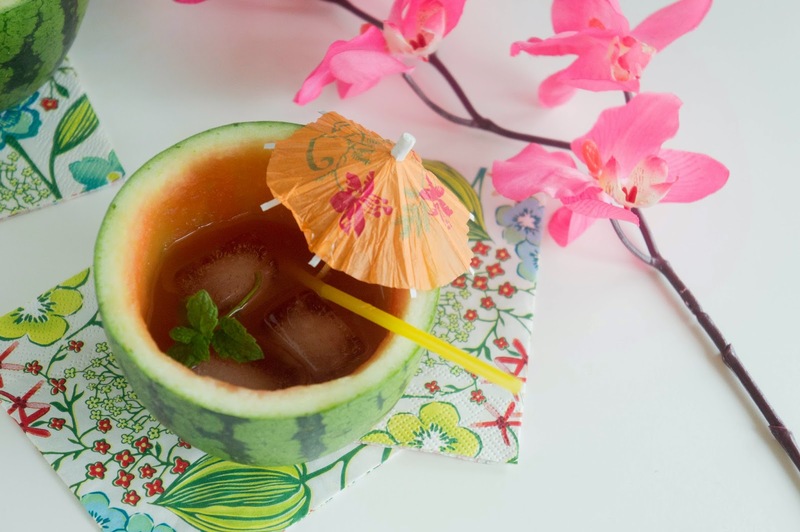 Strain into your watermelon cups. 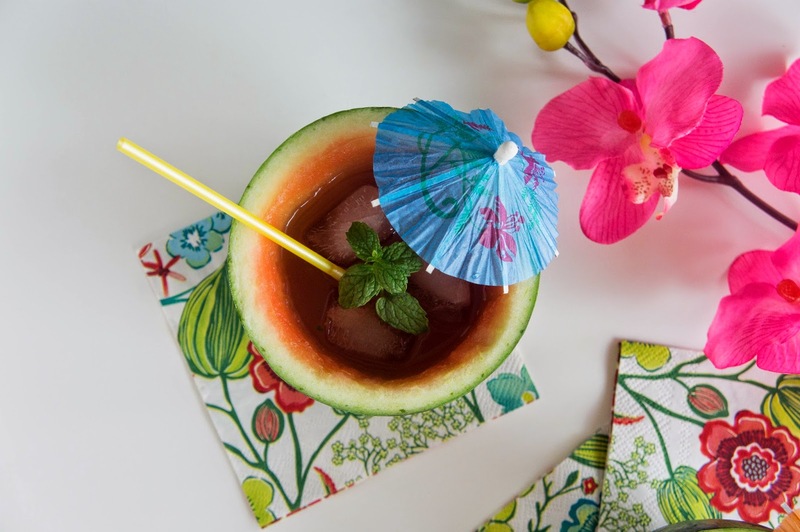 Traditionally juleps are served over crushed ice, so if you have some go ahead and fill your watermelon cup with it first before straining in the drink. Garnish with cocktail umbrellas, straws, and mint sprigs as desired.